Next postA Reply to Geoff’s Question Regarding Events On My Birthday. 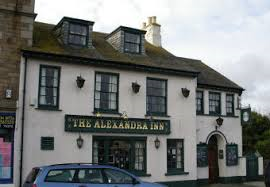 Did you realise that The Alexandra was next door to the biggest Entertainment venue in Cornwall at the time the legendary Penzance Winter Gardens………! Not at that time Martin, it was only a few years later when you began putting me in there with Chrissie Quayle and we did support slots for the bigger names like Colin Scott and subsequently my folk singing career began to blossom, thanks, in part, to you. You did a lot for me me oul chum, and I’m ever grateful. I’m not certain Geoff but I think I brought that Eko back from Singapore so wouldn’t I have been playing that when we were ‘current’ as The Flat Fizz Band and in the pub/barrack room/drying room sessions? I do know it was my only guitar when I came to live down here and frequent the Folk Clubs.